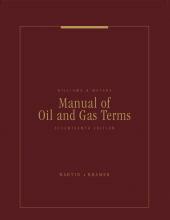 A clearinghouse for the latest tax ideas, techniques, and practice pointers in oil and gas taxation and accounting. Editor: D. Larry Crumbley, C.P.A., North Carolina; CRFAC; CFF; MAFF; Emeritus Professor, Department of Accounting, College of Business, Louisiana State University, Baton Rouge, Louisiana; Adjunct Professor at Prairie View A&M University; B.A., Pfeiffer College; M.S. 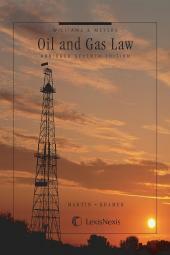 and Ph.D., Louisiana State University; Former member of the Energy Taxation Subcommittee of the A.I.C.P.A. ; Former Member, State Sales and Use Taxation Committee, National Tax Association; Past trustee and president, American Taxation Association; Member of the Advisory Board of Petroleum Accounting and Financial Management Journal, Energy and Economics, and former member of the editorial advisory boards of the Accounting Review and the Journal of ATA; Editor of Journal of Forensic and Investigative Accounting; Coeditor, Texas Tax Service and editor of Handbook of Accounting for Natural Resources and Handbook of Estate Planning; Coeditor, Handbook of Governmental Accounting and Finance, Handbook of Bank Accounting and Finance, and Handbook of Natural Gas Accounting. Author of thirteen educational novels, some under the pen name of Iris Weil Collett. Associate Editor: C.P.A., Texas; A. Charles Funai Professor of Energy and Accounting, The University of Tulsa, Tulsa, Oklahoma; B.S., University of New Orleans; Ph.D., Louisiana State University; Former Chair of the Financial Accounting and Reporting Examination Committee of the AICPA; Former member of the Curriculum and Instruction in Accounting Education Subcommittee of the AICPA; Former Secretary and Board of Directors member of the Federation of Schools of Accountancy; Member, Board of Trustees of the T.S.C.P.A. Educational Foundation; Former President of the T.S.C.P.A. 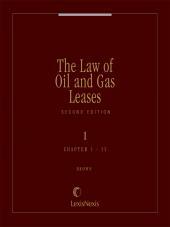 South Plains Chapter; Former President of the American Woman’s Society of C.P.A.s Lubbock Chapter; Member of the editorial Advisory Board of Petroleum Accounting and Financial Management Journal; Author, Oil and Gas Accounting: Upstream Operations, a BNA Accounting Policy and Practice Portfolio; Author or coauthor of numerous articles.